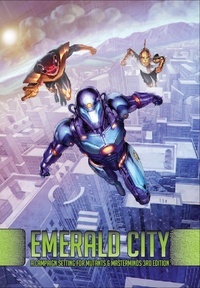 Hal is hard at work on Emerald City but he looked up from InDesign long enough to send us covers for the slipcase and all three books. You can see them now in our Green Ronin Online Store. Pre-ordering and PDF sales will open as soon as the project is ready to go to print.